Modern spacious rustic Log Cabin 3 bedroom, 4 bedroom and 5 bedroom and 1 bedroom and 2 bedroom Suites. 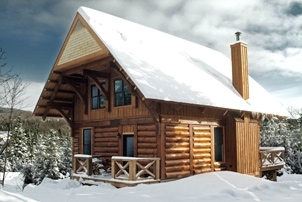 The log cabins and suites at Cote Nord Tremblant offer a new lifestyle in an exceptional environment. Completely equipped chalets and suites in contemporary or rustic style located only minutes from Mont Tremblant resort in the Quebec Laurentians. For a corporate meeting, family holidays, a romantic weekend, a reception or a friendly get-together. Offering quality activity packages and services adapted to your needs. Cote Nord Tremblant is the Zen side of Mont-Tremblant. Much more than a cottage for rent, it’s a lifestyle. The site offers the perfect balance between sociability and privacy, fun and relaxation. Located on the north face of Mont-Tremblant, just a stone’s throw from the Parc national du Mont Tremblant, Cote Nord Tremblant and the surrounding area is a veritable playground, dotted with little reminders of home. It’s the dream destination for a luxurious stay where technology is at home in the midst of nature and fresh air. 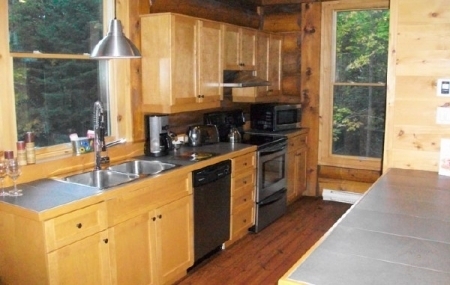 Cote Nord Tremblant has close to 50 log cabins for rent. Each log cabin has a different character — from modern to rustic — to satisfy a range of tastes. When you rent a cottage at Cote Nord Tremblant, you’ll enjoy the tranquility of a natural setting, that’s only six minutes from the action at Tremblant’s North side village. Cote Nord Tremblant - a holiday resort concept offering luxurious log homes rentals and waterfront suites for nature lovers and outdoor sports enthusiasts! 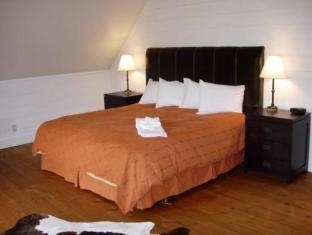 The log cabins and suites at Cote Nord Tremblant offer a new lifestyle in an exceptional environment. Completely equipped chalets and suites in contemporary or rustic style located only minutes from Mont Tremblant resort in the Quebec Laurentians. To make each guest's stay comfortable, all rooms feature non smoking rooms, hair dryer, ironing board, television, shower, microwave. 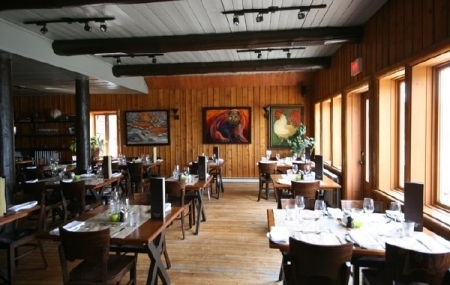 Bar/pub, meeting facilities , restaurant, hotel/airport transfer, tours, babysitting are some of the extra comforts you'll find at this Mont-Tremblant (QC) hotel. Those looking for first-rate sporting and leisure facilities will find massage, jacuzzi, golf course (on site), tennis courts, water sports (non-motorized), pool outdoor. Everything the resort does is centered around the guest' experience, ensuring comfort and relaxation. Please enter your dates on our secure online booking form to make a reservation at Côte Nord Tremblant Mont-Tremblant (QC).